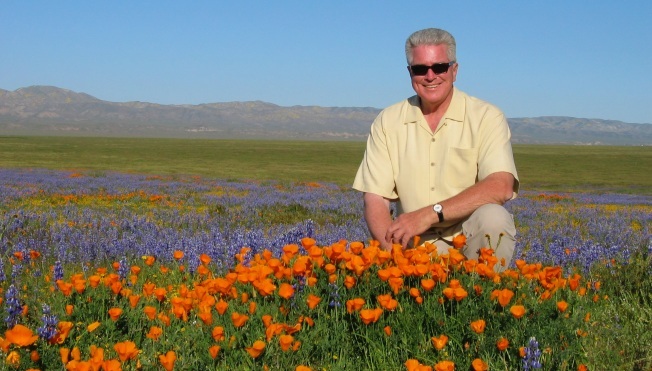 A public salute to Huell Howser, the affable host of public broadcasting's long-running "California's Gold" series, was held Tuesday at the Griffith Observatory, hosted by City Councilman Tom La Bonge. Watch: Aerial Video of Huell Howser "Sunset Salute"
Howser, an intensely private man whose chronicles of California locales earned him a warm spot in the hearts of many in the state, died Jan. 6 after a two-year battle with cancer. He had told friends he did not want a memorial or funeral service. LaBonge's event was scheduled to conclude with what the councilman called a "sunset salute" to Howser at 5:07 p.m.
A note on LaBonge's website invited the public to gather at 3:30 p.m. on the steps of the observatory. A shuttle was offered at the Greek Theater. "Huell had a tremendous enthusiasm for California landmarks like the Griffith Observatory," LaBonge said in the online invitation. "And now we must say goodbye to our own California landmark, Huell Howser." Howser was 67 when he died.